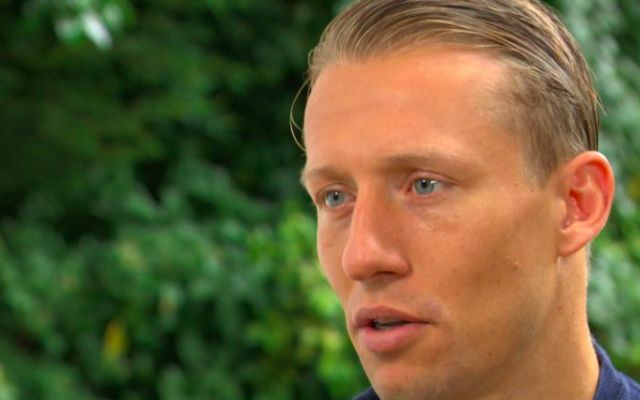 For a man notorious for staying well away from goal at Liverpool, Lucas Leiva is beginning to look a natural in the final third in Italy. The Brazilian scored his third goal in three games on Saturday as Lazio cruised to a 6-2 win over Benevento to strengthen their grip on fifth place and move to just one point behind fourth-placed Inter Milan. Lucas put his name on the scoresheet in the 83rd minute with a crisp curling finish from the edge of the box to finish off a cleverly worked corner. It marked his fourth goal for the club since signing from Liverpool and served as further insight into how comfortably he has adapted to Italian football. Perhaps the Reds missed a trick by transitioning him from midfield into central defence during the latter stages of his Anfield career. Roberto Firmino, Sadio Mane, Philippe Coutinho and Lucas Leiva – now that is an interesting ‘Fab Four’. One more Serie A goal to see out an eventful day? The 31-year-old’s scoring run started with a goal in Lazio’s recent 2-0 win over Dynamo Kyiv in the Europa League. Lucas followed this up by supplying a valuable equaliser in a 1-1 draw with Bologna, displaying great composure in the box to beat a man before finding the far corner. Having been such a popular figure on Merseyside, it’s great to see him flourishing in his latest challenge.